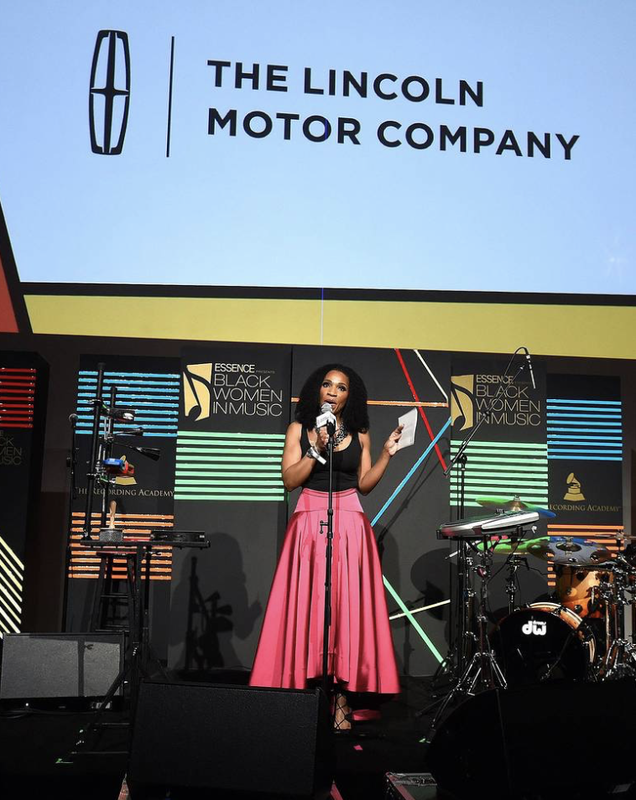 The Lincoln Motor Company returned this year as exclusive automotive sponsor for ESSENCE’s eighth annual Black Women in Music, marking the eighth consecutive year Lincoln has been exclusive automotive sponsor for the event. 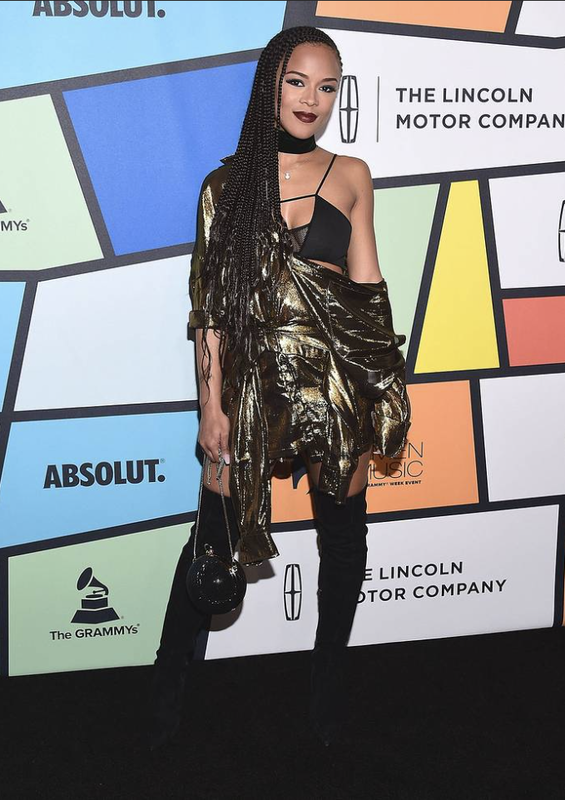 This year’s Black Women in Music celebrated nominees from the biggest night in music aka The Grammys, in general, and Erykah Badu specifically as 2017 is the 20th anniversary of her first album "Badizm". Pause: where did the time go? I remember the debut of her first video like it was yesterday. Real talk: I was sick as a dog by the time I landed in LA for Black Women in Music. I was "coming down with something" when I boarded the plane at JFK and drugged myself up for the ride West. By the time I landed? It was a wrap. Short of a brief lunch with Lincoln where I tried to hide how sick I was (ultimate fail), I spent every moment leading up to the event in my W Hotel room bed, with the temperature on 83, trying to sweat out whatever had attacked me. It worked!... at least for the duration of the Black Women in Music event. 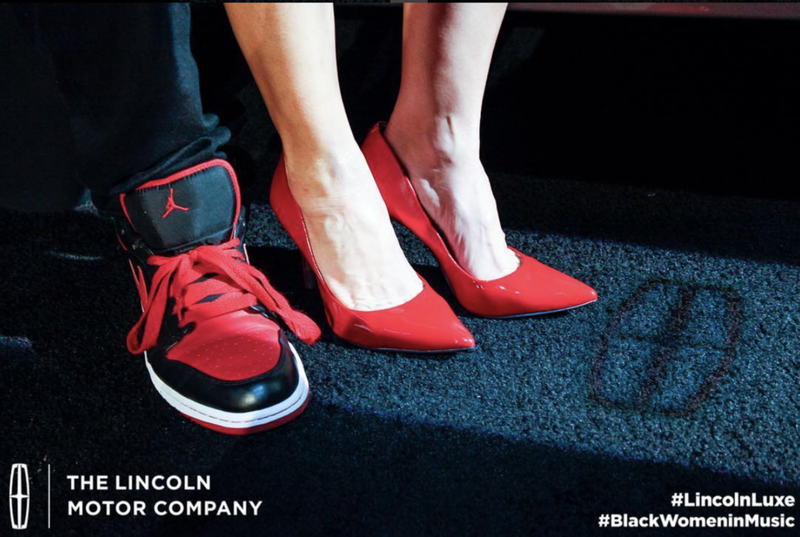 I was charged with hosting the celebrity black carpet for Lincoln, i.e., doing work that felt like play and left me wondering, "I really get paid to key-key with my favorite celebs? How is this my life?" CelebrityMUA Melissa Hibbert did the Lord's Work (including a quick facial) to make me not look sick and I slipped into my best dress (Karen Millen) and some heels (Fendi) that were made for cute, not comfort (no complaints, mission accomplished) and showed up to do my job. 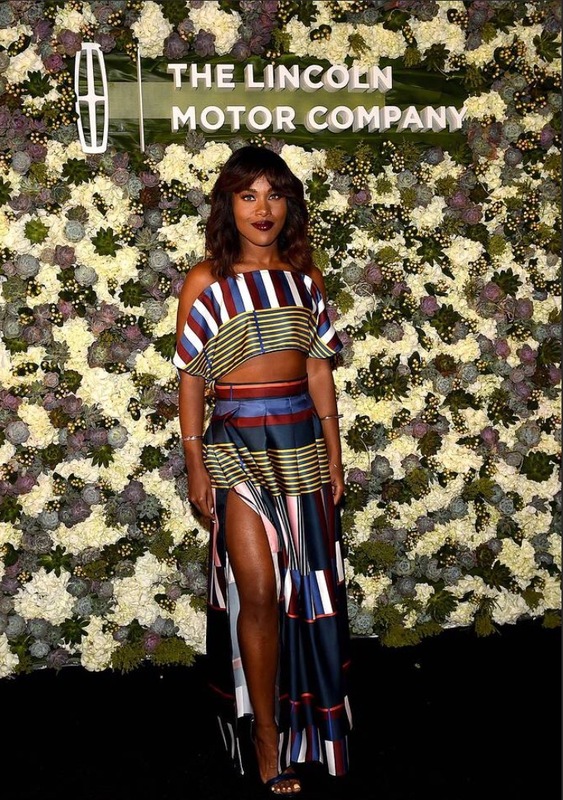 That night, I shared the black carpet with the all-new Continental and Lincoln MKZ and a glorious flower wall that everyone loved as much as I did. Once your faves got in front of that wall and taking pictures, they didn't want to leave. Celebs, they're just like us! They like dope Instagram moments too! LOL. So. I key-keyed with half the cast of BET’s New Edition mini-series, and I clutched my chest with I met Woody McClain, who played Bobby Brown, and Luke James, who sang the hell out of Johnny Gill's parts. Remy Ma swung by and I didn't realize how much I liked her until I blurted out, "hey you. I love you!" I only do that for people I really like. I key-keyed with my former Essence bosses and friends, and Lincoln's Raj Register (who I guess was technically my event boss) and singer Mya, who I will always adore because she made good music and she's from my hometown. Oh, and Mario, who is all grown up. Our fave June Ambrose swung thru in her Magic Hat, which I love because I love all things June. (She's my reminder that being a real adult doesn't mean being a boring adult.) Oh, and Faith Evans, who swore we had met before and I'm like, "nope. Didn't happen" because no one black and over 30 meets Faith Evans and forgets that moment. ( I thought about it later and I'm convinced she watches Being Mary Jane and saw me in a commercial.) And Chloe and Halle, who are talented beyond measure, and the SWEETEST young women you will ever encounter. I adored them. My hosting duties for the night included directing celebs to the "Approach Detection" feature, one of the new features of Lincoln Black Label. 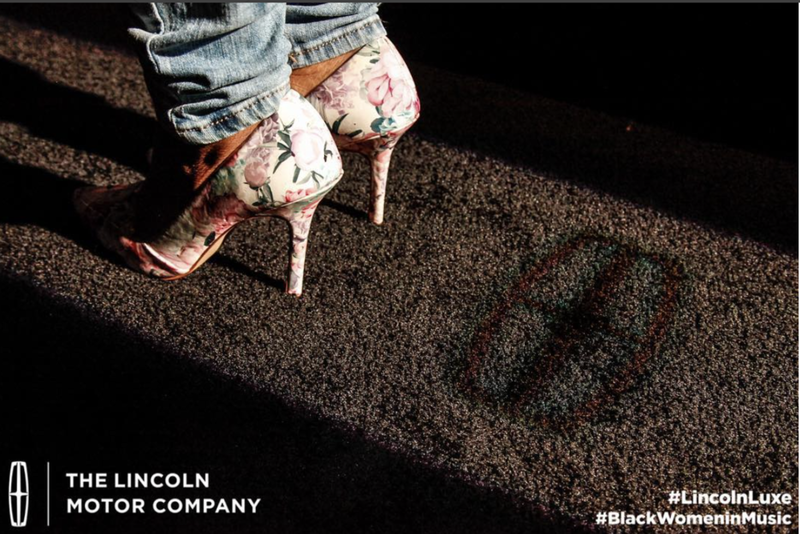 In laywoman's terms, that means when it's after dark, and you push the button to open your Lincoln, a lighted "welcome mat" with a Lincoln logo appears on the ground in front of your car door. Lincoln calls the feature a display of "quiet luxury" and says it's Continental is "greeting you with a warm smile." It's like a personal red carpet. I love it! On the black carpet, we obviously weren't driving anywhere, so we put the feature to a practical use and turned it into a shoe cam, which everyone loved. (Shoes are like magic words to women. This is known.) LOL. Get into June Ambrose's Tom Ford's and Pooch Hall and his wife coordinating (say it like the dad from Boomerang). I have no idea who had on the floral pumps, but it's an amazing pair of shoes. So many of your faves were in town for the Grammy Weekend and they all came out to stunt at Essence's Black Women in Hollywood. My favorite looks included Estelle's over the knee metallic boots and disco ball evening bag. (She's highlighted in Lincoln's First Listen series. Take a listen to her latest song, "Be in Luv, which she sings from behind the wheel of the all-new Lincoln Continental, on Lincoln Now.) I was also floored by Erykah Badu's antebellum black ball gown, which reminded me of Kara Walker's silhouettes, Mya's lacy cocktail dress, especially the back cutout, and Yara Shahid's perfect pop of electric blue. 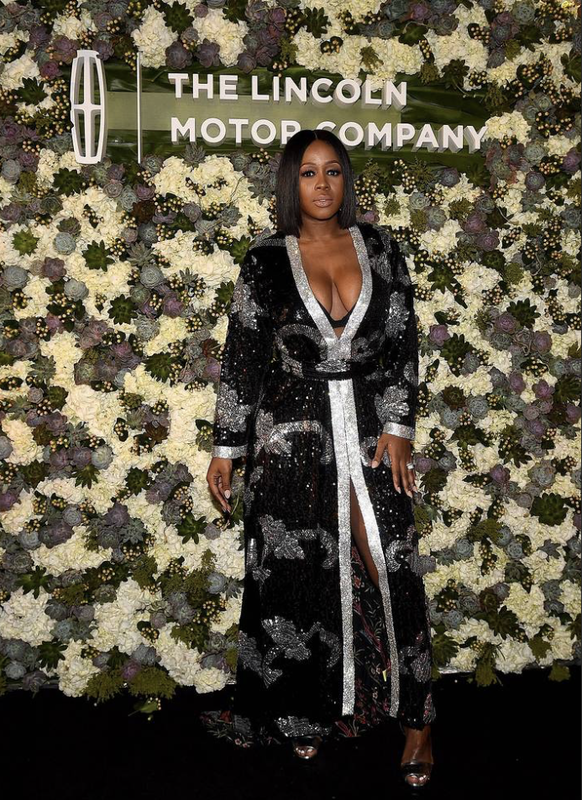 Inside Essence's comfortably crowded Black Women in Music event, Estelle graced the stage as did Lincoln's Director of Multicultural Communication Raj Register. There were rumors beforehand that Solange would introduce Erykah Badu, and yes, that happened. Erykah gave a 30 minute performance of her most beloved songs, which never get old. I'm a huge fan and have seen her in concert countless times, and I stood transfixed in the crowd like it was my first time seeing her. By the time she wrapped the stage, my medicine was wearing off and it was time to head back to the hotel. I'd planned to play in LA thruGrammy Weekend, but no. I was sick and after a fairytale night, I was ready to head back to NY and recover in my own bed. Many thanks to Lincoln for the awesome evening!